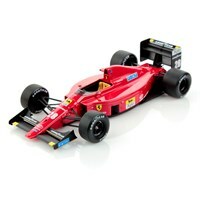 Look Smart 1:18 resin model of the #28 Ferrari F1 640 as driven to victory by Gerhard Berger in the 1989 Portuguese Grand Prix. 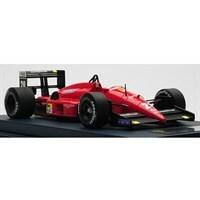 Look Smart 1:18 resin model of the #28 Ferrari F1 87/88 as driven to victory by Gerhard Berger in the 1988 Italian Grand Prix. 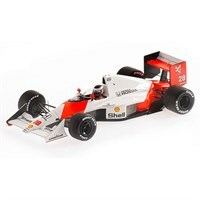 Minichamps 1:43 resin model of the #28 McLaren MP4/5B as driven by Gerhard Berger in the 1990 US Grand Prix.